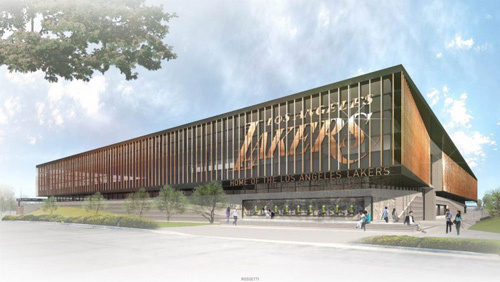 The Project includes the development of a new headquarters office facility that will house the team’s business and basketball operations and team training center with exhibition court and seating. The Project integrates the Lakers business and team operations, facilitating a synergistic relationship across all aspects of the Lakers organization and is designed to express the Lakers unique global brand and communicate the team’s identity, history, philosophy, goals and ambitions. In addition, the facility would be a showcase for player/coach recruitment and facilitate promotions involving corporate sponsors and strategic partnerships.